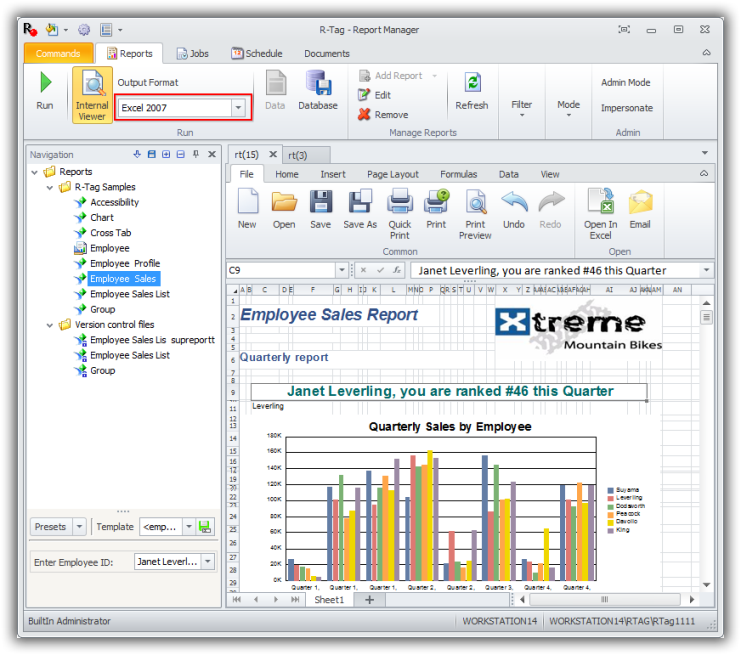 Direct export to Excel 2007-2016 from the combo box "Output Format"
The first export is very similar to the regular export fro Crystal reports to Excel except the format of the file is XLSX. It supports gridlines (on/off), pictures etc. The second export is using R-Tag extensions to create a XLSX file with table styles, formulas, summaries, filters and frozen panes. 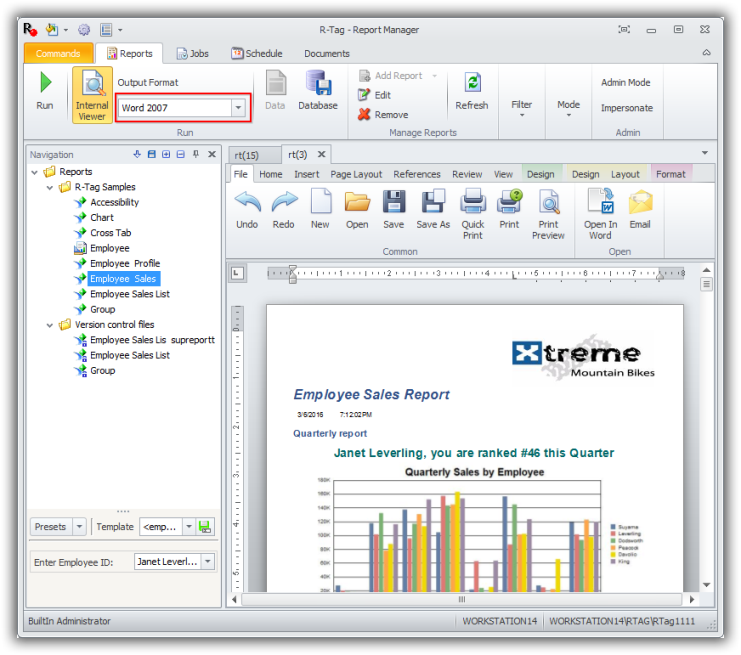 In the example above summaries are set at the top of the file together with column captions and filters. The first 2 rows are frozen and will be always visible so when you scroll to the bottom of the table you wil still see the summaries and captions at the top. When a filter is applied the number of visible rows will change and the summary values will change (summaries are saved as formulas). Summaries can be set to SUM, COOUNT, MIN, MAX, AVG etc. The configuration of the export is done through R-Tag export settings. The user is able to customize everything: table styles, formulas, summaries and position of the summaries ( they can be placed at the bottom of the table too) . Export to Word 2007 - 2016 is available from output format too. Here is a preview of a file exported and previewed in the internal Word viewer.